If you are planning a Spain travel itinerary 2 weeks, you need to be ready to organise step by step your trip. Trying to miss anything on your way. Most of you are asking us which is the best way to see Spain in 2 weeks. After exploring Spain and, all the surrounding beautiful landscapes, we are now ready to give you the best answer. Spain is full of colours, lively and positive energies. It is the perfect spot for a road trip and we highly advice to organise it. We highly recommend a Road trip to Spain. It is the best way to see the hidden places and go off the beaten path. We will help you to organize the best Spain travel itinerary 2 weeks. Bringing you along some of the cheapest European summer destinations. 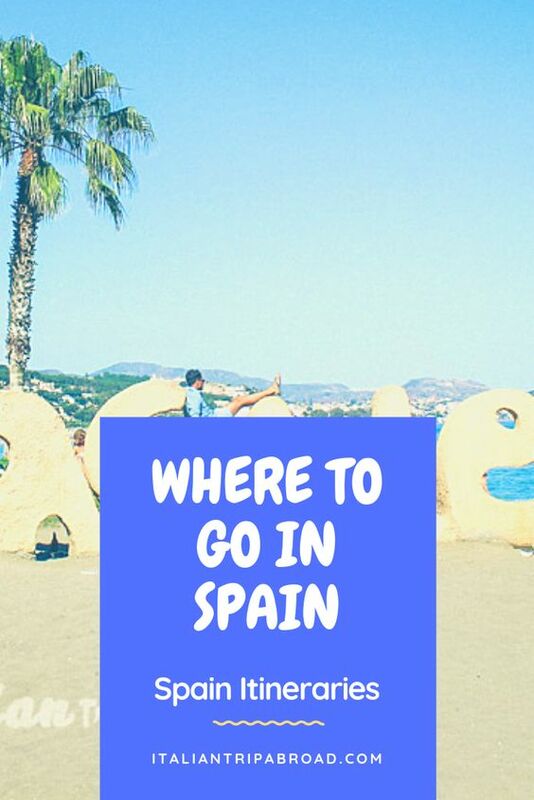 We discovered the best places to visit in Spain in 10 days without following any guide. 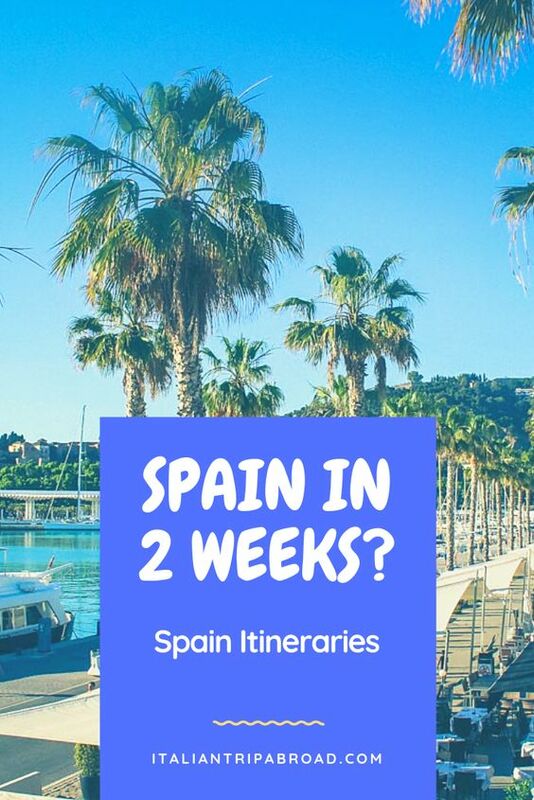 All you need to know about the best Spain travel itinerary 2 weeks is here! 2 weeks in Spain where to go? It is the most common question we answer lately. We think that the first stop, in your Spain travel itinerary 2 weeks, should be Madrid. 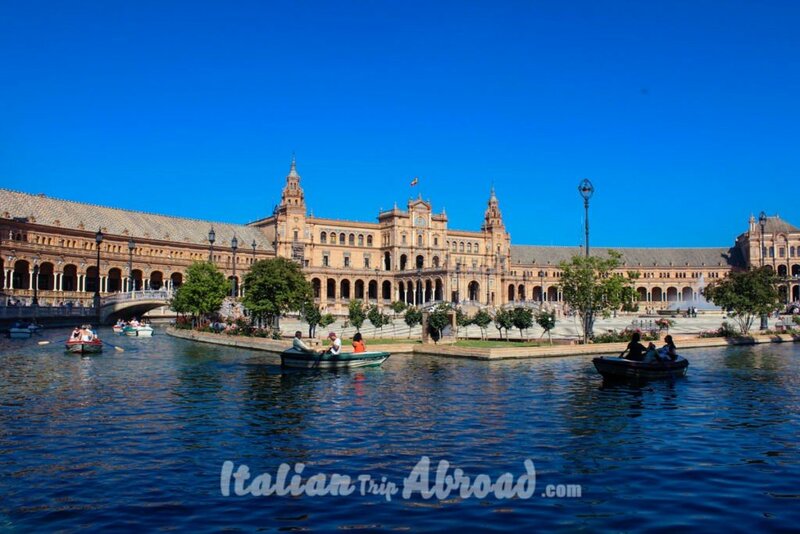 The capital of Spain is the common place where find a cheap flight at any time of the year. But feel free to take our Spain Itinerary from where you find cheaper to fly in. Madrid is beautiful and rich in culture and tradition. It is perfect to spend your time in Madrid in two days. 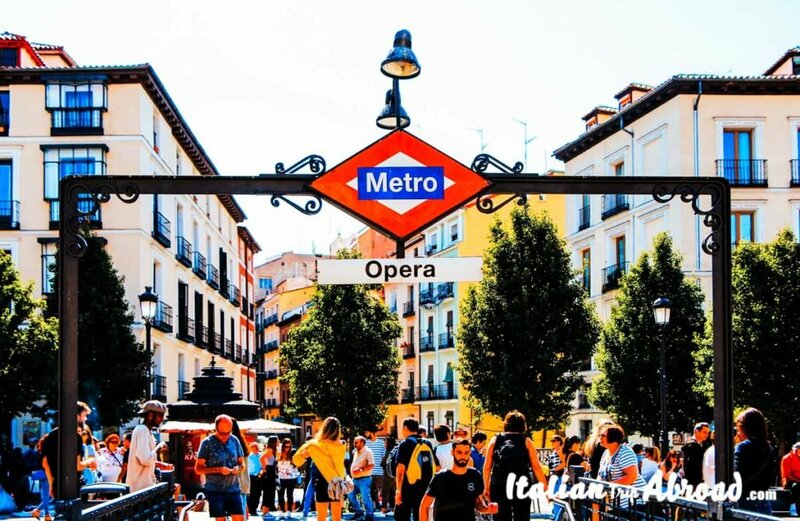 There are a couple of things which you can’t miss in Madrid. The famous Royal Palace, the Museo National del Prado, Plaza Mayor and Puerta del Sol. 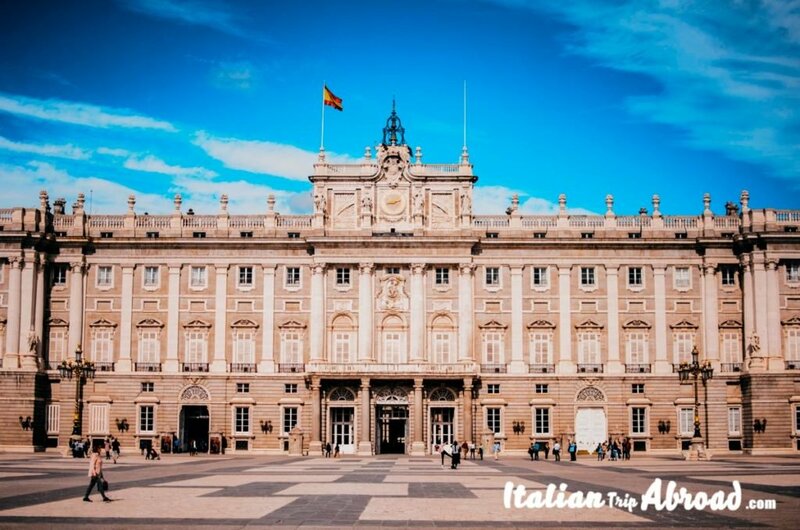 The Royal Palace of Madrid, it is one of the monument you can’t miss in your itinerary for two days in Madrid. It is located close to the city centre which the closest tube station is Opera with line 2 ( red line ) and 5 ( green line ). The tickets are not expensive at all, it is 11 euro per person and you can purchase in advance the tickets so you can avoid long queues. It is located really close to the Royal Palace of Madrid and it is one stop you can’t miss at all. 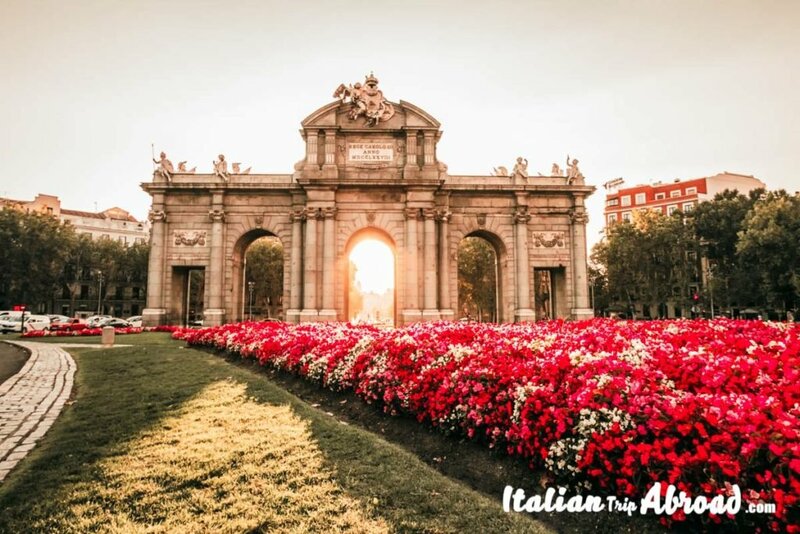 After your visit to the Royal Palace, you can walk until the Plaza Mayor which is in the middle of Museo del Prado and Royal Palace. This is the perfect place even for your instagrammable Madrid. This museum is Alessia’s favourite. When she first visit Madrid she was on a school trip and she spent all day in Museo National del Prado. You don’t have to, but this is this to let you understand why it is so beautiful. The general tickets it costs 15 euro and if you add a guide book of the Prado is 24 euro. There is another option which is cool if you buy a ticket, two visits within a year the price is just 22 euro. The Puerta del Sol is a public square in Madrid and one of the best known and busiest places in the city. On your Southern Spain Itinerary, you need to visit Malaga. The Capital of Andalusia is well known for the beaches and cheap and tasty food. 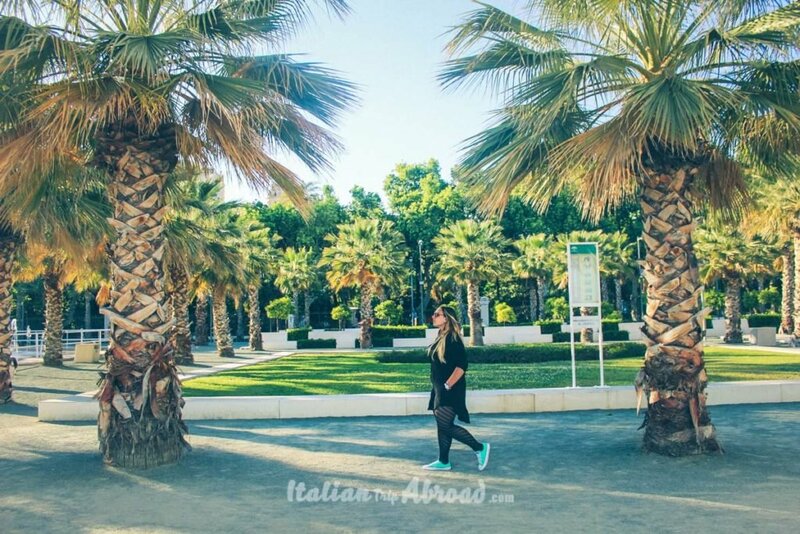 Malaga is perfect for your Spain two week itinerary. From Madrid you can take a direct train, that will take you to Malaga in less than 2h and a half. Take with you your swimsuit, the spring will start early in March and go over until November. The temperature in Malaga is really high all year long. From March to late October, the temperature will be over 20 degrees constantly. Here in Malaga, we suggest stopping to the local market, Atrazana. This is a real gem of Malaga, find a nice spot on the outside tables and order fresh seafood. They will cook it instantly in front of you. If you are willing how to spend 2 weeks in Spain, you can even opt to finish your holiday here or start from here. 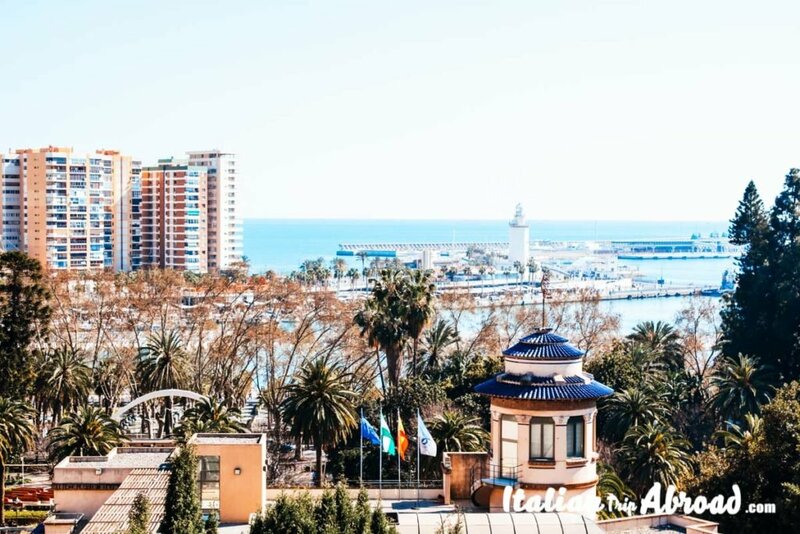 Malaga has got a really good flight hub, with a cheap flight from everywhere. Spend 2 days in Malaga are perfect for relax and enjoy the Spanish “Vida Loca”. Malaga is a beautiful city, especially because there is the sea, and who doesn’t love the sea? During your Spain travel itinerary 2 weeks, you need to be ready with your camera to shot every single moment. The Alcazaba in Malaga is one of those occasions where you can’t stop shooting. Great news for you is that on Sunday the entrance is free. Malaga was one of the main city of the Moorish in Europe. The Gibralfaro is the fort of the city. Up to the main hill of Malaga, there is the Castle. Hike up for the best aerial view of Malaga. This is just below the Gibralfaro and the Alcazaba of Malaga. It is the ruins of an old Roman Theatre. During the week in the main square, you can assist in a play. Picasso has left rich memories in Malaga, here is the most famous museum with his art exposed to everyone. On Sunday afternoon the Picasso Museum of Malaga is free. If you want to go farther from Malaga, on your way to Gibraltar there are other two cities. 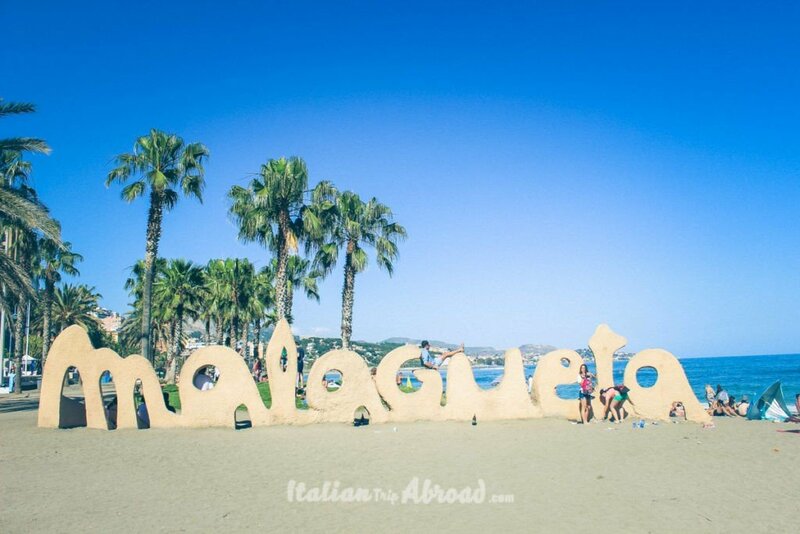 Marbella and Torremolinos are a really large city of the metropolitan coast side of Malaga. In the summertime, those two places are full of tourists from everywhere. For golf lovers, there is a lot of course here. Going forward with your itinerary along Costa del Sol, you will face the African Continent. On your way, you will encounter Gibraltar. That is not a Spanish territory. You are going to a self-own state under the influence of the United Kingdom. It has been for years the first European defence against the attack of Moorish. Spend a day in Gibraltar, in British style with the sun up in the sky. Gibraltar is for us a perfect day-trip. You will need to pass a proper border, so take with you your ID or Passport. Head to the city centre with a double deck bus, typical of London. Go up to the rock with the cable car. On the top of the Rock, you will meet the Apes, a group of macaques. It is a species of Monkeys from North Africa, nobody knows how they came here for the first time. Cadiz is an amazing city and needs to be on your list of Spain itinerary 10 days. Stroll around the seaside, take with you the swimsuit and relax on the beach. 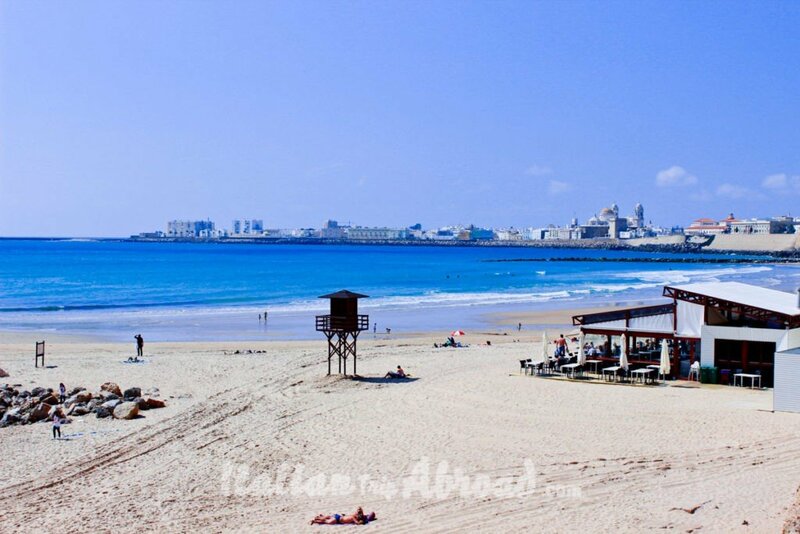 Look at the west side, you will enjoy the view of Cadiz, with the Cathedral Dome lead the landscape. Cadiz is basically an Island. It is connected to the continent by a unique amazing bridge. During Summer the locals use to go outside the city, enjoy the natural places around the coast, one of that is absolutely Tarifa. If you are not aware that during your road trip of Southern Spain, you are facing the coast of Morocco, now you know. In a middle way between Cadiz and Sevilla, there is Tarifa. It is one of the towns most close and mixed with the African culture. We highly suggest you stop in a surprising hidden gem. Go a bit off the beaten path, it is not the perfect beach spot but is for sure a little gem of Andalusia. If you are a sea sport lover, you have to go to Tarifa. It is the favourite place for Kitesurfer, attract by the wind and the waves. Sevilla will pay the entire trip. It is charming and awesome at every corner. I was so inspired by the photo spots, the Flamenco dancer along the streets and the stunning Buildings. If you still have time and want to see Sevilla on 360 degrees, head to Metropol Parasol. 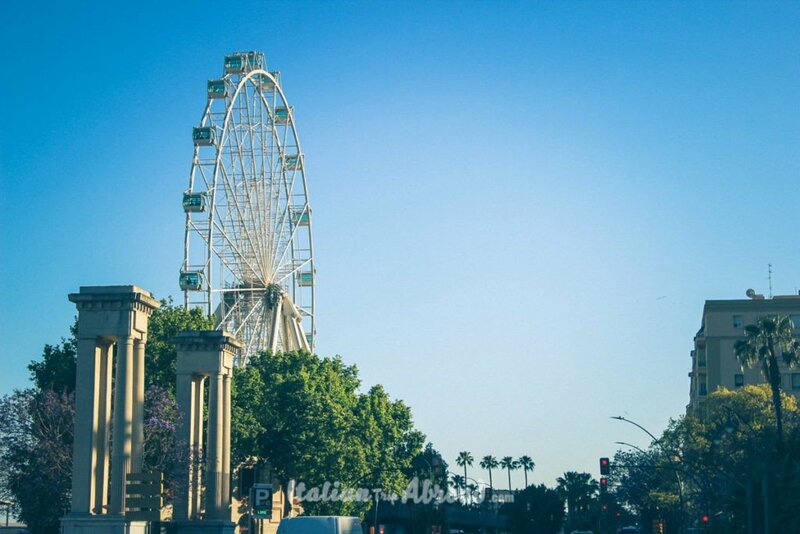 From the top of this iconic structure, you will have an amazing view of the Andalusian Capital. 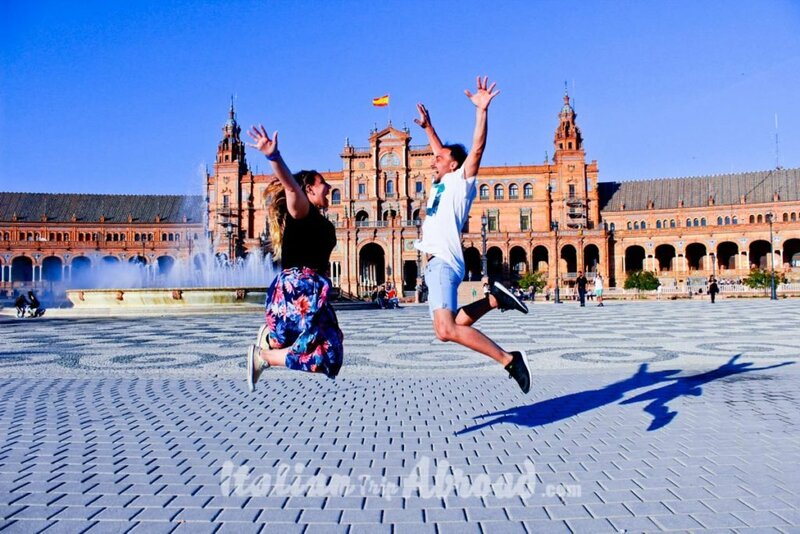 Hike up the terrazzas at the sunset for the best photo of Sevilla. Visit also Plaza de Toros, Plaza de Espana and the Real Alcazar. The last one needs to be booked online to avoid the long queue. In Seville 2 days itinerary you can’t miss visiting the Royal Alcazaba. This is another Moorish residence, on the style of the Alhambra of Granada. Book your ticket in advance, on the website, that will allow you to skip the queue, which can be really long. The Bull Ring is another landmark to don’t skip, it is where the history of Sevilla has been written. Nowadays this kind of shows are really less crowded than in the past, and it is just a tourist attraction. In Cordoba, you have to visit the Mezquita, it is a mosque really beautiful and famous. It is the most known visited sightseeing of the city. 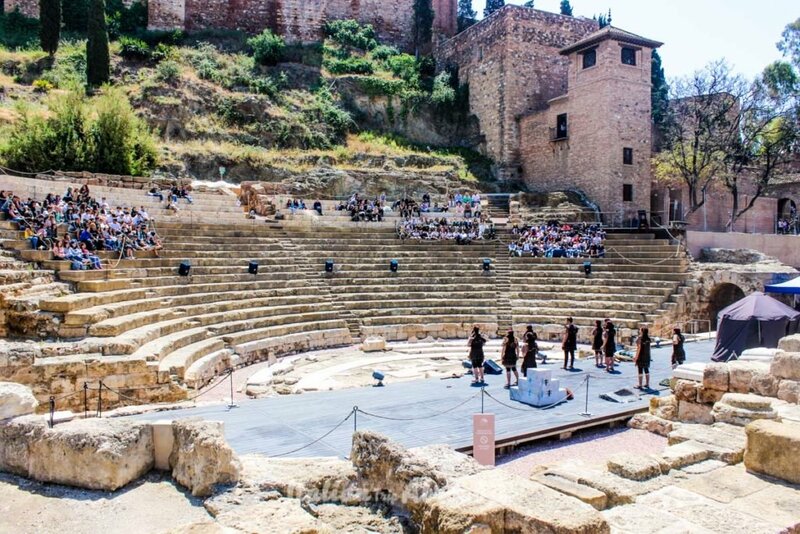 Not everyone know that Cordoba is also a Roman city, it has a big past. There a lot of well known Roman Structure well preserved, one of that is a bridge that connects the two sides of the city. The Roman Bridge is an amazing structure, that is nice to photograph at night. The city on the hill with the Alhambra on the top and the white Sierra Nevada looking at the Locals is another amazing landmark in Costa del Sol. One of the most Moorish city in Andalusia lets you be in a dimension more close to the North African Traditions. One of the things I have really enjoyed this city, over the food, that is amazing everywhere in Andalusia, is the Spa. 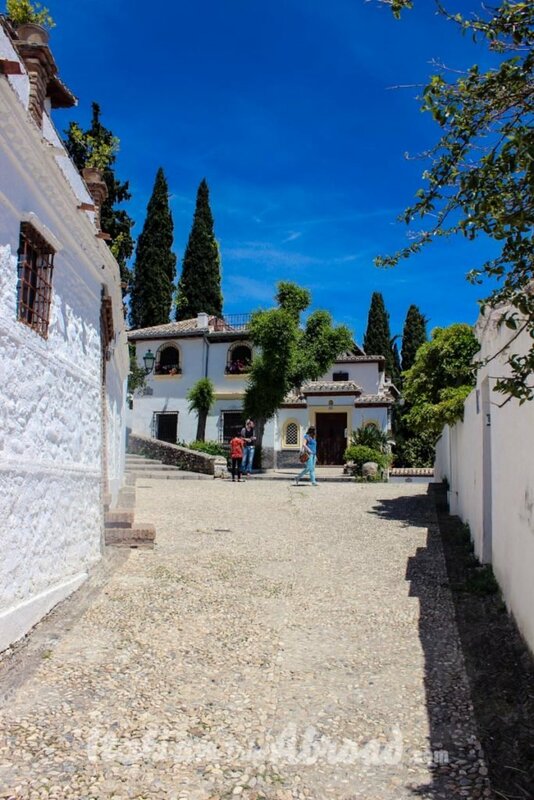 Granada is really famous for the natural sources of therapeutic water. Give you a relaxing day to one of the best SPA in Europe. In your Spain travel itinerary 2 weeks, you can’t miss visiting the Alhambra. The Alhambra is one of the most important monuments in Granada. During your time in Granada, you should spend at least one day here. Usually is very hard to find the tickets, but if you pre-book the tickets online as soon as you book the flight tickets, maybe you will be likely. The general ticket costs 14 euro, which is not too bad, and it will give you one of the most emotional experience ever. 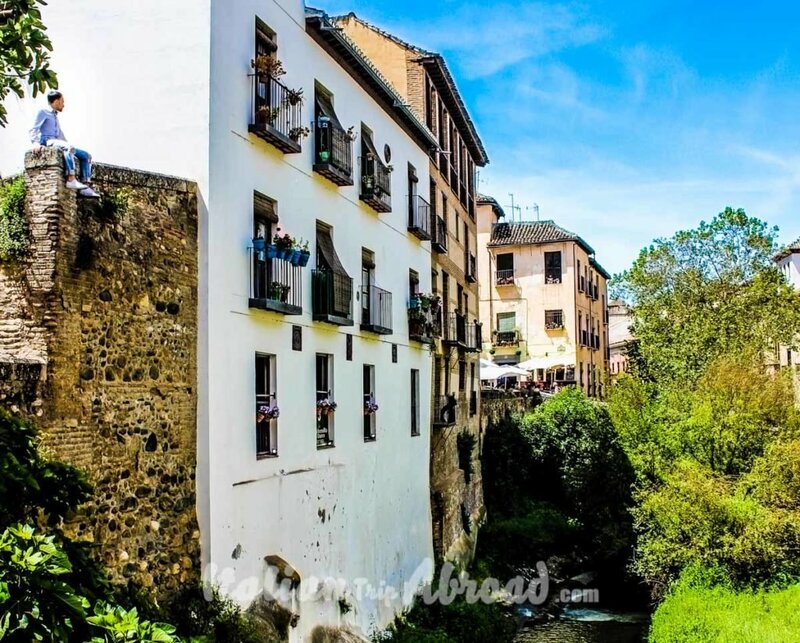 If you will miss this opportunity, it means you need to come back to Granada, but in the meantime, you can find a few viewpoints where to photograph the Alhambra. Mirador de San Nicolas is one of the most common places where tourists are going to take pictures of the Alhambra. For us, this was the best way to see Spain in 2 weeks. We had this amazing experience to explore Southern Spain in 2 weeks and really enjoy it at the best. Spain is beautiful at any time of the year, summer or winter doesn’t matter. Despite, visit Spain in Spring will give you a better point of view. The beaches are not crowded, and the places seem more beautiful without the fleet of tourists. There are many itineraries in Spain for two weeks itinerary. We are Road Trip lovers and have been a few times on the road exploring some countries in Europe, but Spain is one of the best we have done so far. We have tried to blend a different one, giving you the chance to live fully this beautiful Land. Please, give us another option, something that you have tried by yourself.